Serving breakfast, lunch, coffee and drinks. 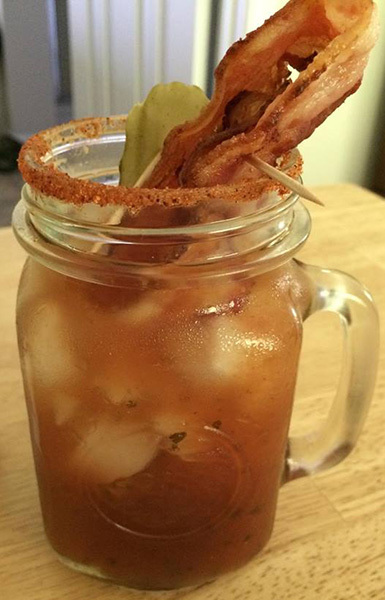 Great Bloody Mary’s, super breakfast, killer burgers, sandwiches, eat in or take out. 99¢ Sliders – All Day, Every Day! We work on all makes and models of vehicles. We specialize in computer diagnostics. Our professionally trained technicians are capable to repair all engine issues, transmission, brakes, exhaust, tires, front end and 4-wheel alignments. Our complete body shop will get your car back into pre accident condition. We offer courtesy cars for your convenience while repairs are being done. We deal with all insurance companies. Towing is one of our specialties. Our drivers have completed training and testing to provide the most qualified towing skills with safety being a priority. We have (4) 2BR, 2 bath condo units, covered deck, kitchen, party room, sauna, beach and dock. Open all year for ATV and UTV riders. County Road H is now open to drive on to get to hundreds of miles of trails. Our property is right on the snowmobile trails! Walk out to a private, crystal clear spring fed lake. Walk next door to the Lumberjack Restaurant and Bar! Your vacation home away from home!! Nestled on the shores of Burnett County’s premier crystal clear 1500 acre Big Sand Lake!!! Truly a sportsmen’s paradise!!!! We have “Old Wisconsin”, but modernized cabins! Each cabin has a fully equipped kitchen, modern bathroom facilities and is fully furnished to provide all the comforts of home. Bed linens are included, but please bring all personal towels and toiletries. All cabins are equipped with charcoal grills and picnic tables. 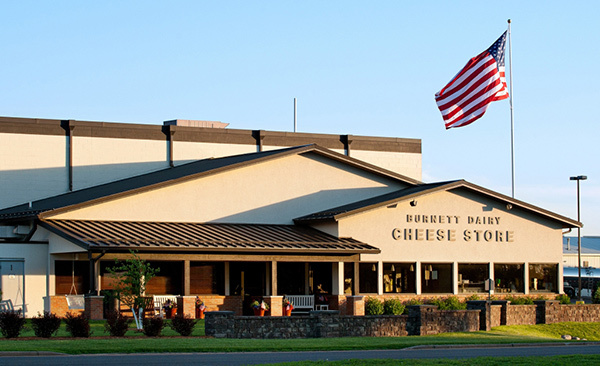 Our newly expanded retail cheese store in Alpha, Wisconsin – just 5 miles east of Grantsburg – is open daily and features the best of Burnett Dairy cheeses. We offer award-winning cheese, gourmet grilled cheese sandwiches, pizza, soup, fried cheese curds, wine and wine tasting, and hard serve ice cream in addition to our always popular soft serve. 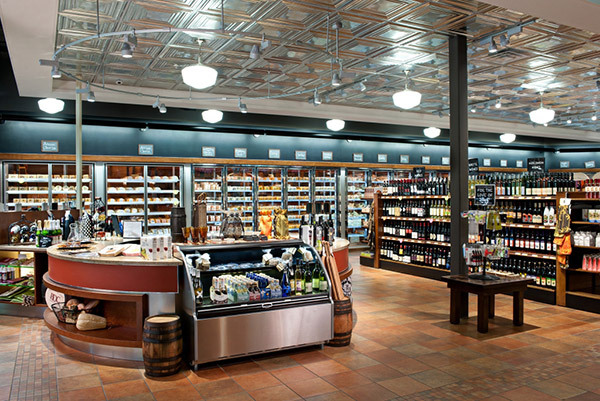 Our General Store offers home and farm supplies, beer, propane, fuel and convenience items. All-natural award-winning cheese developed by our Wisconsin Master Cheesemaker and staff. Brands: Burnett Dairy, Wood River Creamery and Fancy. Create the perfect atmosphere for your home! Gas, Pellet, Corn & Wood Stoves, Fireplaces, Inserts, Stone & Brick, Saunas, Solar Systems, Hot Tubs, Smoker Grills, Chimney Relining , Outdoor Wood Furnaces, Wicker Furniture. Engstrom’s Siding & Window Company offers premier, affordable exterior home solutions that last a lifetime, guaranteed. Our premier, superior performance siding, gutter, window, roofing and door products include lifetime warranties and are installed by professional, factory-trained staff. We’ll help you with your exterior home project from start-to-finish. We offer: ABC Seamless® Steel Siding & Gutters, ABC Roofing® Premium Metal Shingles, Renewal by Andersen® Window & Door Replacement, ProVia® Custom Entry & Storm Doors and LeafX® Clean Gutter Protection. Call today! Find a fun, interactive learning experience at a unique historical site . . . only at The Forts. Forts Folle Avoine Historical Park, located between Danbury & Webster, WI, offers tours of their historic 1802 fur trade posts and Ojibwe Indian Village. On site, you’ll find museums and exhibits (fur trade, logging, Native American), one-room schoolhouse, blacksmith shop, Quebec-style clay oven, hiking and cross country ski trails, gardens, visitor center/gift shop. Open Wednesday thru Sunday, Memorial Weekend thru Labor Day Weekend, 10 a.m. to 4 p.m.; Saturdays in September & select days in October, 10 a.m. to 4 p.m. Special events year-round. Welcome to Fox Run Golf Course, featuring two scenic pine studded nine hole courses. Located in Webster, Wisconsin, Fox Run Golf Course is approximately 75 miles from the Twin Cities and 63 miles south of Superior, WI. This original Ren Belland design is fun and challenging for golfers at all levels. At over 2600 yards, the Regulation 9 has tree lined fairways, undulating greens, three water holes and true white beach sand bunkers. The Par 3 course has large greens and ranges from 105 yards to 215 yards. Making great memories . . . one round at a time! We are the “Gateway to Crex Meadows” the largest wildlife area in Wisconsin. We are also an access point to the St. Croix National Scenic Riverway. Our area offers parks, camping, hiking, skiing & snowmobile trails, winery, golf, dining, shopping, lodging and much more. 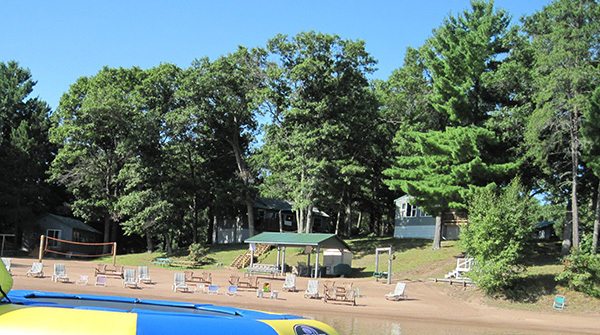 Your Family Resort For All Seasons, Resort, Motel, Condo Suites, 4-Bedroom Vacation Home along level lakeshore on Big Yellow Lake, between Danbury & Webster. Indoor pool, 1-bdr. to 4-bdr. cottages, air-conditioned, large family dining room, big game room & bar, nice, shaded playground & swings, plenty of dock space, four big docks, pontoon & boat rental. Snowmobile trails lead to our door! Catch a large variety of fish in Yellow Lake including musky, bass, walleye, northern, sturgeon, crappie, pan fish and jumbo perch. Open all year. Spring and fall discounts available! 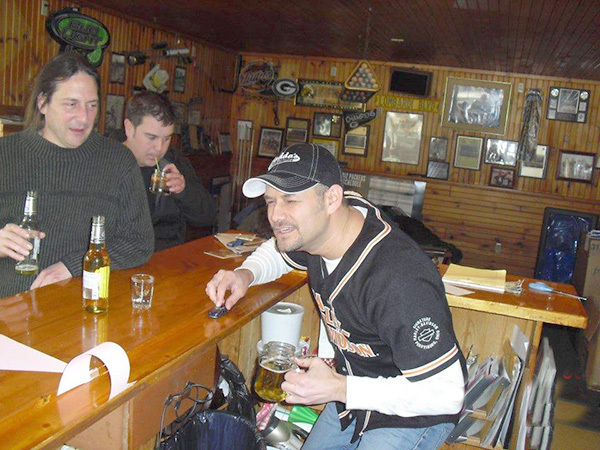 Lucky Strike Resort is located in Burnett County, the “Fishbowl of Wisconsin.” Just north of Webster, Wisconsin on beautiful, clean Devils Lake, one of the premier lakes in the county, if not the best! The thousand acre lake has a ton of structure as the depth changes from 26 feet to 8 or 9 feet in several spots. Pan fishing is outstanding for bluegill and crappies! Northern pike, walleyes and large mouth bass are very abundant in the lake. Offering fully furnished cabins. Boat, pontoon, boat lift rentals, swimming beach with raft. By far, the nicest spot on Devils Lake. We have an awesome Sandy Beach and New Playcenter with climbing walls and slides. 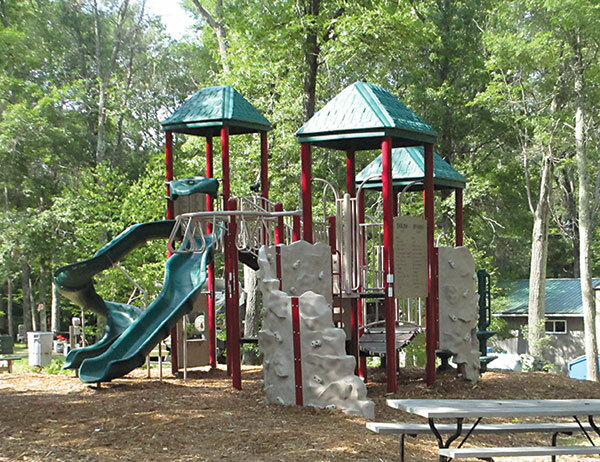 The Basketball Court, two playgrounds, walking trails & Ping Pong Table will keep the kids busy all day! The Lodge restaurant is open until 9pm on weekends and has a great game room! Excellent Dining, Cocktails, Fun & Friends, featuring steaks, seafood, chicken, ribs, salad bar and homemade soup, full bar and wine list and $1 happy hour. Patio open Memorial Day thru Labor Day. Located on beautiful Big McKenzie Lake. Donna Best has been creating stoneware pottery since 1975. While raising our children, we did art shows throughout the Midwest. Next came several retail stores in the area. In 1999, Jerry joined full-time making his own hand-built designs. After 21 years in Hayward, we have closed that store to feature our Summer Gallery at our home/studio. Our Summer Gallery displays our pottery, as well as the artwork and jewelry of 20+ other artists. Our designs reflect our love of the outdoors and feature hand-carved sketches of trees, wildflowers, pine cones and birch.. You are invited to enjoy our gallery, as well as explore our gardens and mini-gardens. Our work reflects our love for God and His creation. We love what we do and hope you feel that in our work and Summer Gallery. Our spacious grounds offer a lush, park like feel with large mature trees. The developed part of the resort is surrounded by acres of woods that shelter all kinds of wildlife and fowl. Our lakeshore view boasts mostly undeveloped land featuring soaring Eagles, Blue Herons fishing the shoreline, Loons protecting their babies, and gorgeous sunsets that will take your breath away! Rosenthal’s Resort is now offering more family recreation, dining and amenities than ever before.